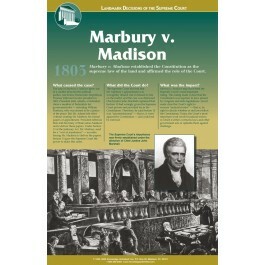 This poster focuses on the landmark Supreme Court case known as Marbury v. Madison, one of the most important and influential decisions of the high Court. It describes the events that led up to the case, the Court's decision, and its impact on our nation. 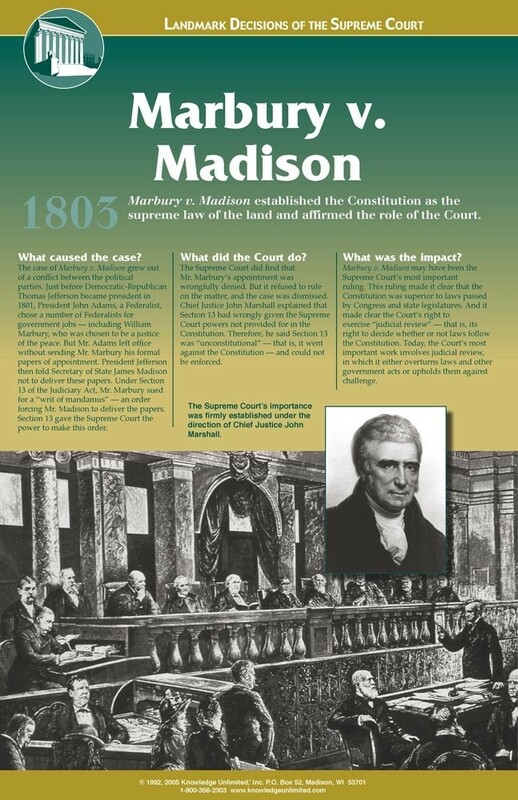 The 1803 ruling of Marbury v. Madison established the Constitution as the supreme law of the land and affirmed the role of the Court. This is a great way to introduce students to what some say may have been the Court's most important ruling, and an important milestone in American history.